This month, Avon is offering a dozen eBooks at a special price: $1.99. One of these Sizzling Scandals books is mine: Your Scandalous Ways. You can find out more about the story here at Two Nerdy History Girls, and you can see many illustrations at my Pinterest board dedicated to the book. 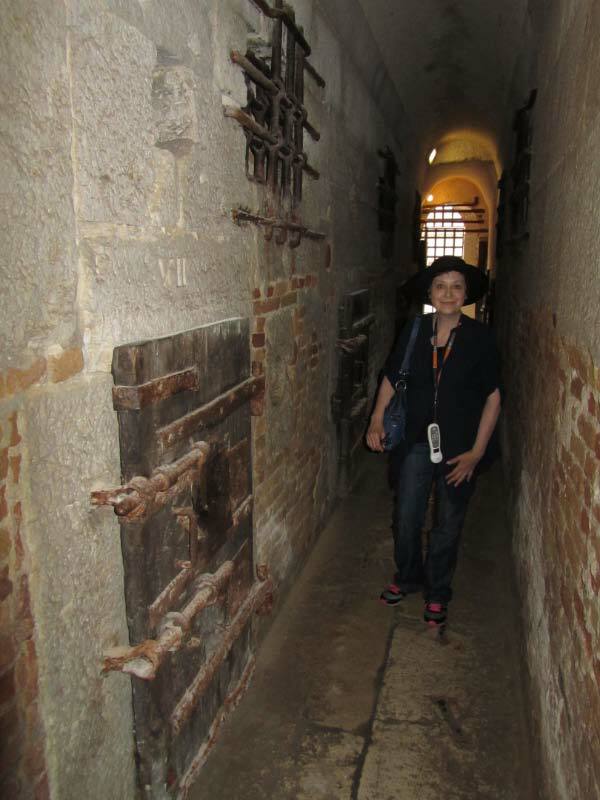 In eBooks Tags Venice, "Your Scandalous Ways"
In response to readers who encouraged me to discuss the settings and other background material of Your Scandalous Ways, today we're taking a house tour. I don’t know about the rest of you but I didn’t, really, know all that much about Venice before I embarked on Your Scandalous Ways. Casino Royale inspired my British agent hero. "Hmm,” I said to myself. “What would 007 be like in the early 19th century?” The film inspired my setting, too. Those climactic scenes in Venice awakened my curiousity. I did not realize, for one thing, that Venice was built on a bunch of islands in a marshy lagoon. Originally, it was where people from the mainland fled when the barbarians attacked in the 5th and 6th centuries A.D. It was a safe haven because the lagoon was very dangerous and tricky to navigate. After a while, they quit going back to the mainland and started building. How they built is the miracle of Venice. Here's a view of the Grand Canal and some of the case (houses) or palazzi (palaces). You’ll find “ca” and “palazzo” used interchangeably. Until the fall of the Republic (i.e., when Venice surrendered to Napoleon in 1797), only the Ducal Palace (that building to the right in the painting above this one) could be a palazzo. All other houses, no matter how grand, were simply houses, case. Afterward, the restriction went away. And so the same house might be a “ca” in one book and a "palazzo" in another. These magnificent structures were indeed built on stilts packed close together. From my Eyewitness Travel Guide to Venice & the Veneto: “Pinewood piles were driven...25 feet...into the ground....They rested on the solid caranto (compressed clay) layer at the bottom of the lagoon.” On top of these were laid layers of brick and stone. The foundations were of Istrian marble, which resists damp. This book has some wonderful cutaway illustrations that are well worth a thousand words. But one need only look at the buildings and consider how much labor was involved--not to mention ingenuity--to appreciate the accomplishment. They followed Zeggio up a staircase to the piano nobile, and found themselves in a vast central hall. This portego, as the Venetians called it, ran from one end of the house to the other. It was clearly designed for show. The line of magnificent chandeliers down the center of the ceiling and rows of immense candelabra standing on tables along the wall--all dripping the famously magnificent glass work of Murano--would, when fully lit, have made a dazzling display of the gilt, the plaster ornamenting the walls, the sculpture, the paintings. Here for your delectation are lots of pictures of Venetian palazzi. Getting pictures of the exteriors was easy. Finding interiors was another matter--and for Your Scandalous Ways, it does matter, since many of the scenes are...um..intimate. Happily one of the Wench readers suggested Venetian Palazzi (ISBN 3-8228-7050-1--that's the English edition), which offers the proverbial visual feast. Copyright prevents my sharing those images with you, but there is some material online. Here's one of the many internet sites I perused in the course of my research. This "Ceremonial Stair" in the Ca' Rezzonico is a fine example of the magnificent interiors. This site provides a floor plan of the Ca’ Rezzonico, too. Virtually all Venetian palazzi have the same basic layout. A great hall runs from the side of the house facing the canal to the side facing land, usually overlooking a courtyard. The hall on the ground floor is the andron. The one on the main public floor or piano nobile, is called the portego. Rooms extend from either side of these central halls. Some buildings have interior staircases and some have exterior ones. Sometimes the building was extended to surround the courtyard. Side rooms open into other side rooms. But if you keep in mind that big central hall running from the front to the back of the house, and doors leading into rooms on both sides, you’ve got the general picture. This shows the floor plan of the Ca’ Mocenigo, where Lord Byron lived, and the picture is of the poet at his leisure in his humble abode. You can picture my hero James Cordier in a room like this, though he’s more likely to be gazing out of a window at Francesca’s palazzo across the canal than lounging on a sofa. That brings us to the end of today's tour. Don't forget to tip the guide on the way out. In Writing Tags Venice, history, "Your Scandalous Ways"